Strava is much more than just a mile-counting app. It's a digital community, a means for competition and, apparently, matchmaking. It was hot. Really hot, for 6 a.m. I was hauling tail up the east ridge of Mount Sanitas, jumping over wilted yucca and kicking up red dirt. I reached the summit just as the sun crested the horizon. I was the only person on the summit, but I wasn’t alone. Like thousands of other runners, I was on Strava. My watch pinged, letting me know that not only was I not first to reach the summit today—I wasn’t even the fastest. Strava is a mileage-tracking and social-media app for runners, cyclists, skiers, hikers, SUPers and everything in between. It combines a complex array of maps and routes with a Facebook-like news feed. Though Strava doesn’t release statistics on the number of active app users, it’s estimated that well over one million people use Strava to track their mileage, share workouts and photos, draw shapes and build community. In a running hub like my hometown of Boulder, Colorado, this means it’s hard to find a solitary trail in the real—or virtual—world. I’ve even been asked out via Strava twice—once in the middle of a run. “So, you run here often?” The message popped up midway through an afternoon trail run in Chautauqua Park. “Race you to the top. Loser buys the beer,” I responded. His less-than-impressive splits did not lead to a second outing, though I am two beers the richer. Strava tracks mileage through a smartphone app and GPS watches. Beloved by cyclists, road runners and trail runners alike, it displays a breakdown of your route with time, pace and splits, called “segments.” These segments allow you to face off in a virtual race with other runners in your area, which could mean friendly competition between running partners, or, in my case, an uncontrollable desire to see how you measure up against hometown heroes like 10K champion Kara Goucher (badly, in my case). This easy comparison is bit of a double-edged sword, and, like any form of social media, it has both fans and detractors. 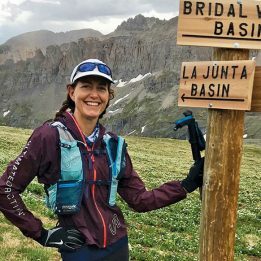 Many trail runners, like 2016 Leadville 100 Champion Clare Gallagher, have turned to Strava as a means of motivation. “Seeing my friends around the world running and training hard motivates me to do the same,” she says. But some runners, like professional coach and ultrarunner Joe Grant, have abstained from the app. Indeed, with an app that’s designed to help runners compare ourselves to one another, we can lose sight of why we run in the first place. I’ve run the same stretch of trail over and over, trying to nail a split that I wasn’t embarrassed to share. I’ve sought out trails and roads that I normally wouldn’t run so that I could score the tiny trophy icon that indicates I had the fastest time so far. I’ve found myself circling the neighborhood late at night just so I could boost my weekly mileage by .38 of a mile, and earn a virtual badge. The irony is that trail running, with its steep climbs and technical descents, does not lend itself to particularly fast splits. It sometimes seems silly to track a run when my pace will waffle from fast, runnable downhills to slow, uphill power hikes. But, with dozens of users virtually peering over my shoulder, sharing my latest sufferfest can be hard to resist. For better or worse, Strava has socialized trail running, turning far-flung trails into race tracks and morning runs into quests for a Fastest Known Time (FKT). For those looking to explore new trails and meet new running partners, this presents a world of resources. For those seeking solitude, remember that you can always put down your phone and run away. If you don’t have something nice to say, log off. If you wouldn’t say it in person, keep it offline. Giving out kudos is great, but too many is weird. Turn off your watch before you get in the car. We know you didn’t just run a three-minute mile. Trying to work your way up in the leaderboards is no excuse to be a jerk. 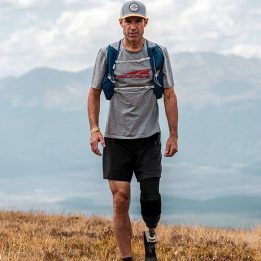 Please, be kind when you’re hitting the trail—your record-breaking attempt can wait until another day if other users are slowing you down. Strava is not Tinder. Maybe save the pick-up lines for your next singles group run. It can be tempting to keep running the same segment again and again, but eventually you have to let it go. Strava is a great tool, but, at the end of the day, trail running isn’t about laying down digital segments. It’s about connecting with yourself. 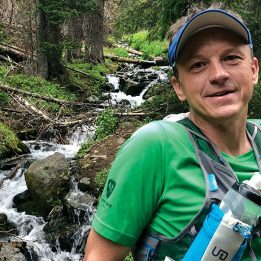 Consider going for a run sans Strava to reconnect with why you love trail running. Fantastic article. When I first start using Strava, I had no idea what a KOM or a CR was. Once I found out, it became incredibly addicting and was a very fun way to challenge myself — I still do! The gamification component and the leader board feature are very big drivers, but like it was mentioned in the article, it shouldn’t be a replacement for a healthy routine, and you should only compare yourself to other so much. …Oh, and don’t be a segment hunter 😉 – the best PR’s are the ones that are accidental in my experience. I agree. As long as Strava helps you connect, or stay connected, it is fun, and the run, ride, hike, or walk is primary for you (or the person you are with), then continue to enjoy. If it becomes something else, then seriously consider taking a step back. I use Strava to simply make a map of where I ran/hiked. Too much technology takes away from my daily treks. I live in a mountainous area where our trails quickly turn into remote areas. Then, I follow mule deer and sheep trails or make my way Xcountry. I don’t need competition or the social aspect. Making my way into areas that I know others have not been in is all the reward I need. I like Strava as a coaching assistant. It is a lazier approach to the old map, pencil and paper method of tracking. I am never going to set any segment records. Since America’s fastest trail running couple lives in my neighborhood, I get surprised when I see a CR that does not have Roche as the last name.